Back again with another review and today it’s all about the Benefit Brow Zings kit. 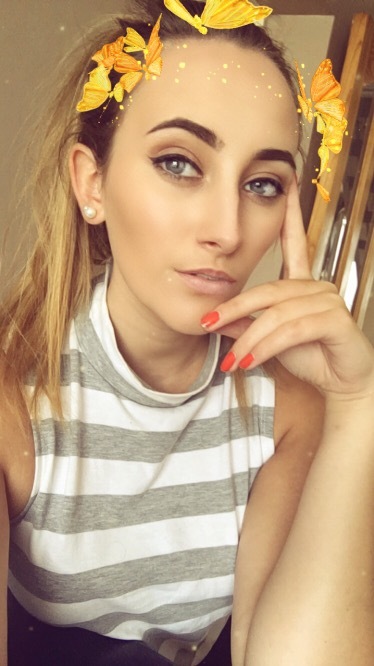 I’ve always been a fan of using either a brow creme-gel or pencil for filling in my brows. I sometimes use my brown eyeshadows for filling them in but it never lasts as long as a creme based brow product they also look a lot more unnatural on me in my opinion, But after using this brow kit duo on myself for a while now it’s given me a second option on powder products. 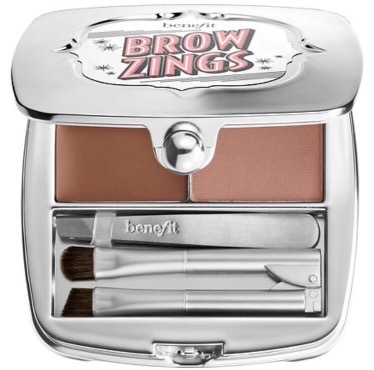 Benefit Brow Zings comes with a darker shade wax, a lighter powder, a mini tweezer, a mini hard angled brush and a blending brush. The wax is quite thick and heavy which you apply as a base for the powder to ‘stick’ on to. I find that using just a small amount of the wax is perfect as too much on the brush may leave you with a clumpy mess especially if your brows are naturally thick. If this is the case, I would just use the wax to outline the brows and blend them out a small bit so as to not look so stark. The powder, is amazing!!! I love it!! It’s a good match with my current hair color and I find it smooth, pigmented and really easy to apply.The angledbrush can actually do the blending itself but I love that they included a separate blending brush in the kit because it does the job much faster and more efficiently leaving you with your brows looking ‘on fleek’ I also like the inclusion of mini tweezers for easy stray-hair emergencies. Its really cute sized and fits nicely into my makeup bag so i can carry it around with me if need be. I didn’t find any faults with this product. I found it quite easy to shape my brows evenly. I think it has to do with the mini angled brush I just love it. It’s really easy to use and a perfect size! I found it left my brows looking natural and nicely defined compared to using some pencils or gel-cremes that tend to look too defined, depending on application. 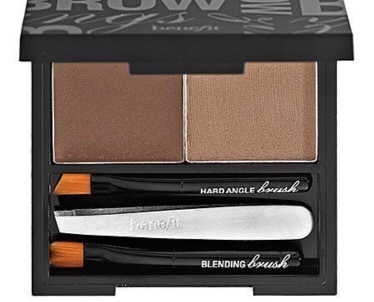 The downside of using some brow powders is longevity – it can easily be erased or wiped off which is where the wax part of this brow kit comes in to solve that issue. I found that the product really lasted well and touch ups throughout the day were not needed which is always a good thing in my opinion. or in store at boots which is where I got mine! !